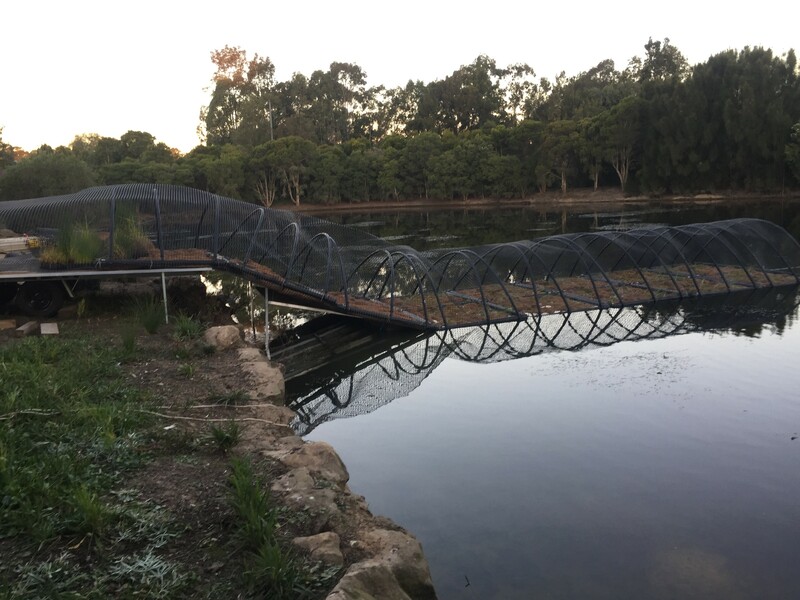 William Lawson Wetland is a constructed wetland that was designed to manage stormwater runoff of the surrounding catchment area. 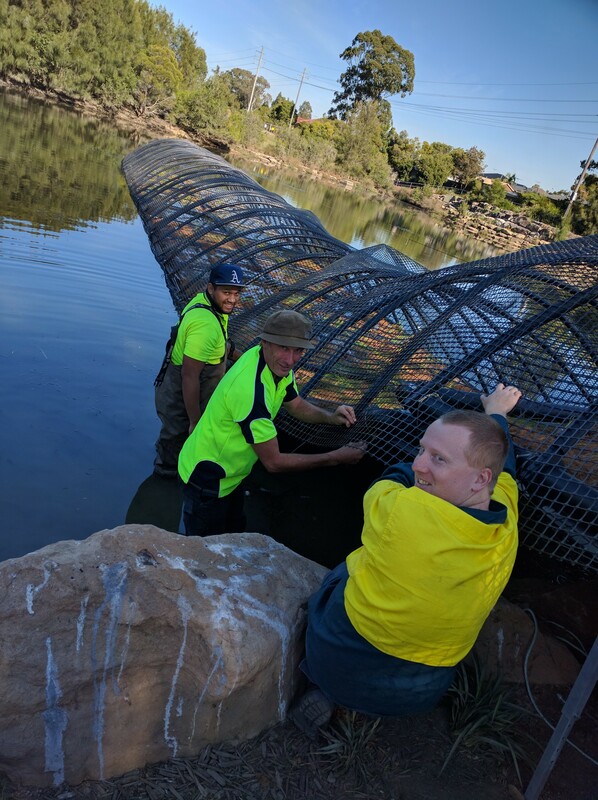 It was built by Blacktown City Council in 1999 and is designed to manage stormwater runoff from the headwaters of Blacktown Creek and the surrounding catchment. Since construction the site suffered from lost vegetation, salinity, silt, lack of sediment control, litter, weeds and algal blooms. 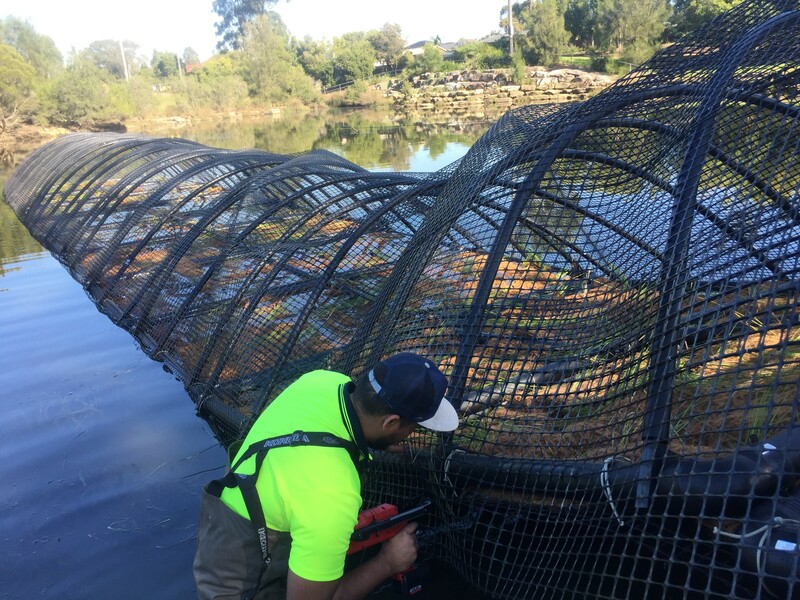 Purpose: Improve macrophyte vegetation, decrease salinity, maintain a pleasing aesthetic appearance, control silt, decrease nutrients, control algal blooms. 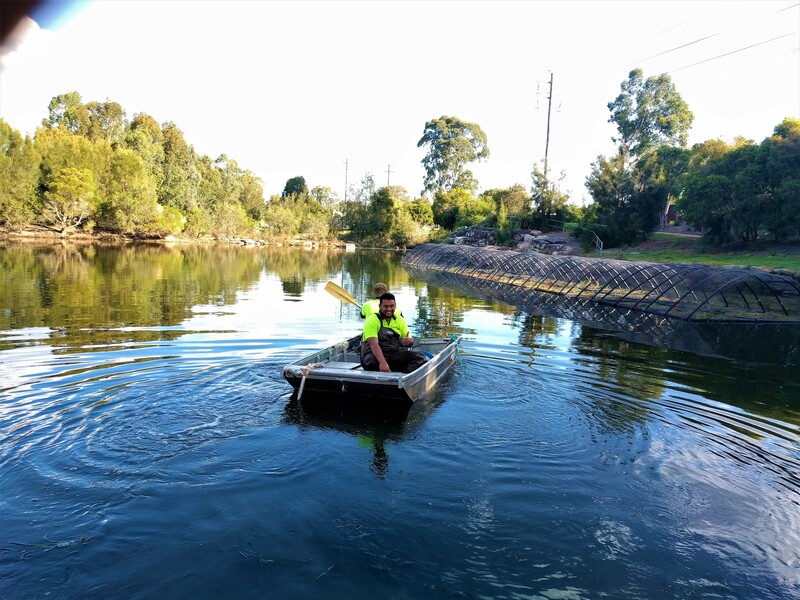 Scope of works: Install and maintain a floating wetland 100m² in size that allow for future expansion if required.